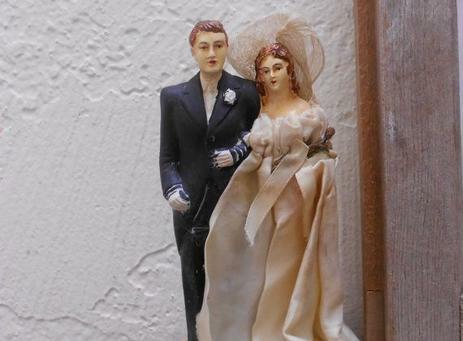 Why are there cake toppers on a wedding cake? The Wedding cake symbolizes good fortune and fertility. Years ago, it was assumed that a married woman would have a baby within a year after her wedding. 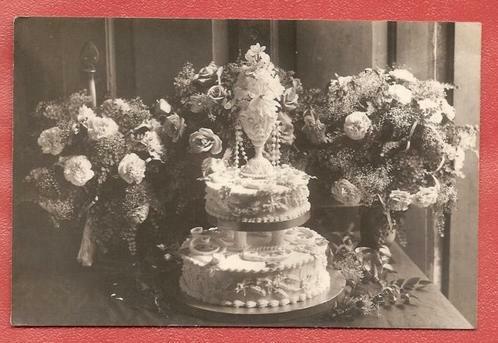 The tradition is that the top tier of the wedding cake would then be thawed and used for the baby’s christening.. The tradition has been modified over the years and now it is customary to thaw and eat the top tier of the wedding cake on the first anniversary. Below are some alternative options to eating and storing your cake for future events. 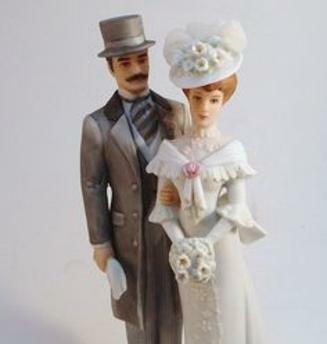 The history of the cake topper is a little more debatable regarding its origin. 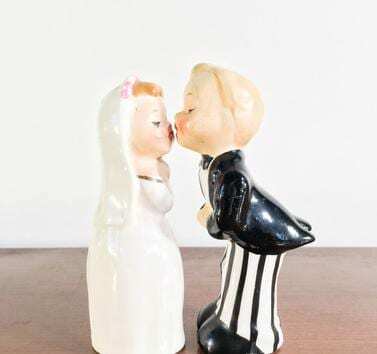 Some accounts deflect to a baker centuries ago who made a cake topper for his daughters wedding to signify the unity and love between the two of them, while others suggest that it was due to a large number of guests attending the wedding that can see the couple on top of the cake. One option is to ask your caterer to make a duplicate cake that can be picked up in a year. On your anniversary you can ask a local baker to create a new cake for this special day. Place the top tier of the cake in the freezer immediately following the ceremony to allow the frosting to freeze. On your wedding day this might slip your mind as your enjoying your wonderful day. It’s a good idea to ask a friend to do this for you. Wrap the cake loosely with freezer safe plastic wrap, and just when you think you’ve used enough …. use a little more, just in case. Make sure the entire cake is wrapped to protect it from freezer burn. Then place it into a cake box. Ask your baker for a cake box, if they are not able to accommodate you, check with a local craft store. Once you have placed the wrapped cake into the box….. wrap the entire box with with the same freezer safe plastic wrap. As Weddings became more mainstream the cake and the toppers seemed to go with it. 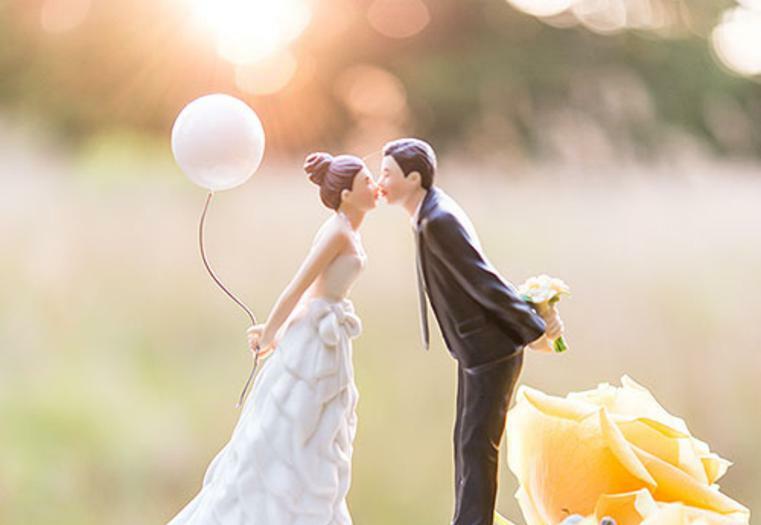 Although couples still seem to revert back to the history of the cake toppers, lavish, comical, and elegant designs seemed to be following right along. 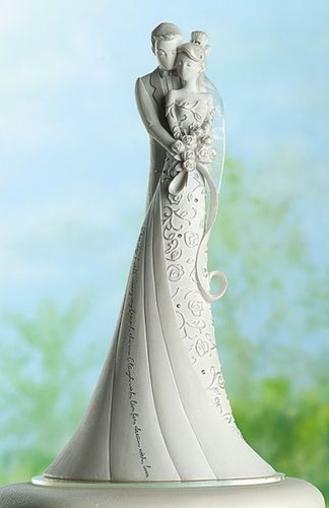 I don’t think we will ever see a replacement for a cake topper. I think its a tradition in which now will most likely stand forever. Although we may see new ideas and ways to become unique and one of a kind with each couple, we will still always see a topper on a cake.